The CPMR has repeated its call for revision of the EU’s Connecting Europe Facility (CEF) to reflect the needs of peripheral regions and islands, following its involvement in a high-profile EU meeting held in Tallinn, Estonia. The Connecting Europe Conference, held on 21-22 September by the European Commission Directorate-General for Mobility and Transport (DG MOVE) and the Estonian Presidency of the EU, brought together a range of institutions and stakeholders to discuss the future of the CEF after 2020. Based on the meetings discussions, it is clear that the Commission’s priorities remain focused on the continued excessive concentration of the CEF’s budget on nine central, priority corridors. On these corridors, and more broadly on transport policy as a whole, the Commission will continue to place an emphasis on decarbonisation and intelligent transport, which includes connectivity, digitisation, automation, multimodality and logistics. In contrast, the European Parliament’s priorities are still be clarified. However, the Chair of the Transport Committee, MEP Karima Delli, called for a contribution from the CEF to the “mobility of everyday life”, so that it serves the European project. She also emphasised the place of the Regions in this framework. Regarding the CEF budget after 2020, Dominique Riquet, Vice-President of the European Parliament’s Transport Commission, called for a budget that is at least three times that of the current programming period, reaching up to 70 billion euros for 2021-2027. In addition, discussions focused on the respective share of grants and loans in the future, which divided Member States at the informal meeting of Ministers of Transport on 20 September. On the other hand, a consensus was reached on the effectiveness of the CEF in the current period, with 92% of the funds already allocated. The unsuitability of the Juncker Plan to finance transport infrastructure has been the subject of several interventions, as only 9% of the funds allocated to date benefit the sector. From the CPMR’s perspective, our Political Bureau adopted positions in March and June 2017 on these issues and called for the EU’s remaining Connecting Europe Facility (CEF) funding to be allocated to projects that improve accessibility for Europe’s peripheral regions and islands. It also called for a strengthening of the EU’s Motorways of the Sea (MoS) policy, so that it more effectively takes into account the global Trans-European Transport Networks (TEN-T, which is not sufficiently supported by the CEF as it helps to anchor Europe in the territories. 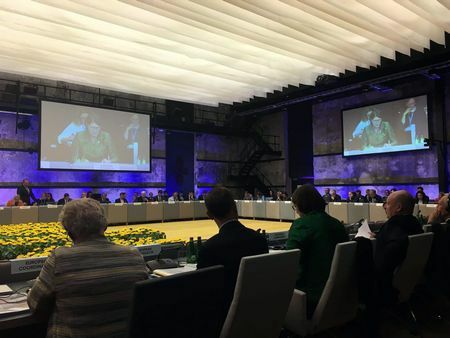 It should be noted that the CPMR’s concerns regarding these issues were barely addressed in Tallinn. Therefore, the mobilisation of the CPMR and its member regions on our ‘Campaign for Accessibility’ of the utmost importance. The European Commission will formally submit its ideas on the post-2020 CEF (‘CEF 2’) in early 2018. In the meantime, the ‘Transport and Accessibility session’ of the CPMR’s General Assembly in Helsinki in October will allow us to continue to present our position to the European Commission and Parliament. And on 28 November in Brussels, the CPMR Transport Working Group will take stock of the steps that have been taken, as well as those that are expected in the future.